Last summer Maine and America celebrated the 100-year anniversary of President Woodrow Wilson establishing Sieur de Monts National Monument on Mount Desert Island, which would later become Acadia National Park. It was the first national park established east of the Mississippi. 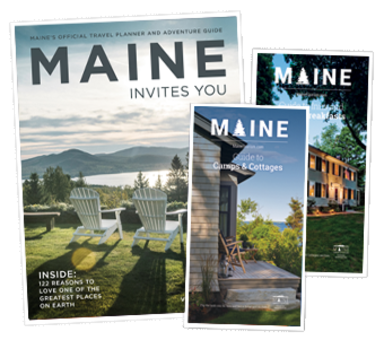 And it is Maine’s 47,000- acre shining gem. Acadia is one of the top 10 most visited national parks in America, but it couldn’t be more diﬀerent than the mostly western parks that dominate that list. It features dramatic cliﬀs plunging down to the churning Atlantic. It is pocked with clear mountain ponds. It has a seaside town, Bar Harbor, bustling with tourists and full of inns and restaurants. And the water oﬀ Acadia is home to humpback and finback whales. It is a park with four personalities — one for each season— and the things to do and see in Acadia vary dramatically as those seasons come and go. It’s hard to describe the breadth of sights you’ll experience if you explore the more than a dozen mountains crowding the coast in Acadia. So even if you are stretched for time, at least drive the park loop road to get some idea of the value of this national treasure. And if you can, drive it at sunrise. See more information on Acadia National Park from the National Park Service.